To actively and pro-actively combat, expose, and refute extremist ideology, in cooperation with governments and organizations concerned. To be the global reference in combating extremist ideology and promoting moderation. We strengthen the confidence of the people and governments in confronting the enemies of humanity, in fighting extremist ideology, spreading the principles of tolerance & moderation, and promoting opportunities for world peace. common in the extremist discourse. 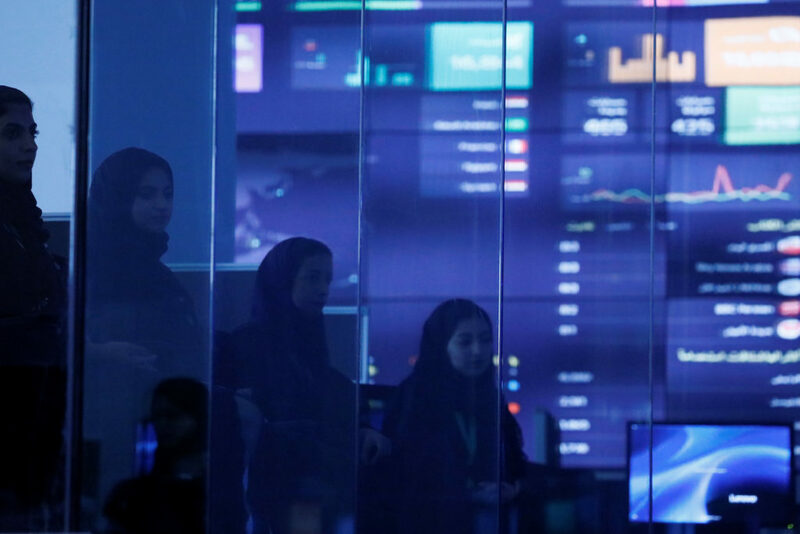 Advanced analytical models are under development to identify digital media platforms locations that will shed light on extremist hotbeds and covert areas for recruitment activities. 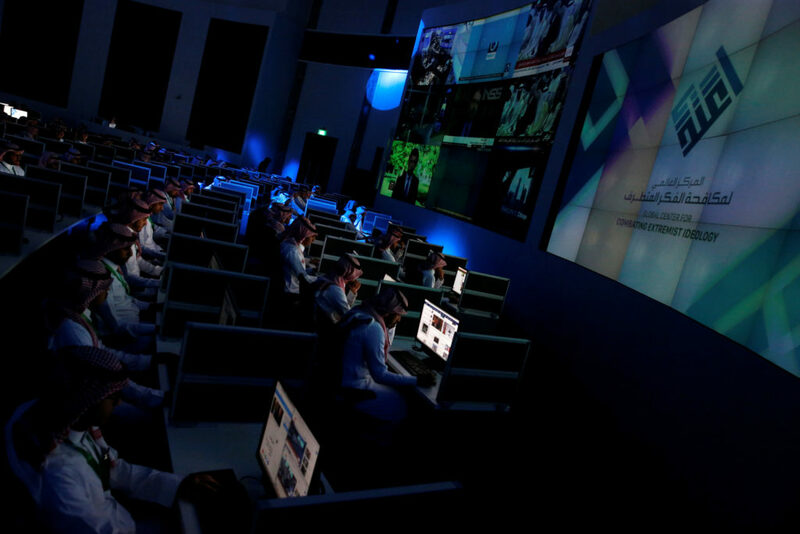 capable of monitoring, classifying and analyzing any extremist content within just 6 seconds of its online broadcast, and with more than 80% accuracy levels, giving a whole new perspective and opening new frontiers in the fight against digital extremism. competent in using big data analytical tools as well as possessing the geopolitical, social, and historical expertise necessary to provide in-depth analyses and actionable insights on different extremist groups. fortified by a common vision to fight extremism at its root causes. The Center is managed by a Board of Directors that is appointed every five years, and consists of 12 directors representing member countries, international organizations, and other active entities in the field of counter-extremism. The Board of Directors is entrusted with drawing up the general policies for the Center as well as developing its plans and approving its budget. The number of representatives of member states within the Board of Directors will correlate with percentage contribution to the annual budget of the Center. Funding Members contributing to the operational budget of the Center, who shall have representation on the Board of Directors. Members appointed by the Board of Directors, who shall have independent representation in the Board of Directors. Members that benefit from the Center’s services and contribute to achieving its objectives. The Center also has a Higher Committee for Ideology, which comprises a number of prominent scholars as well as global intellectuals and opinion shapers. The committee is entrusted with reviewing the ideology-related goals of the Center, proposing ideology programs, and setting the mechanisms for achieving the ideology goals. Finally, the Center uses a set of well-defined key performance indicators to evaluate both the internal performance of its operation as well as the external impact of its activities and how that relates to achieving the sought vision, mission, and strategic objectives. Strengthen the foundation associated with fighting extremist ideology, and provide a counter-narrative that promotes moderation and acceptance of the other. Sabotage the digital activities of extremist groups, and support the dissemination of positive dialogue that promotes bridging the gap between communities. Promoting moderation, tolerance and coexistence. Find out how Etidal works against Extremist Ideologies, to create a moderate and secure world. Performed on widely spoken languages and with high degree of automation in notification, and with the ability to distinguish variant degrees of sympathy for extremist ideologies. Proactive measures through influencing discourse into promoting a culture of moderation and tolerance and refuting extremist arguments and premises. Engagement also means disruption and sabotage of extremist digital activities and capabilities. Provides accurate diagnosis of all relevant content, in all different languages and dialects of concern, and produces periodic in-depth reports: daily, weekly, monthly.